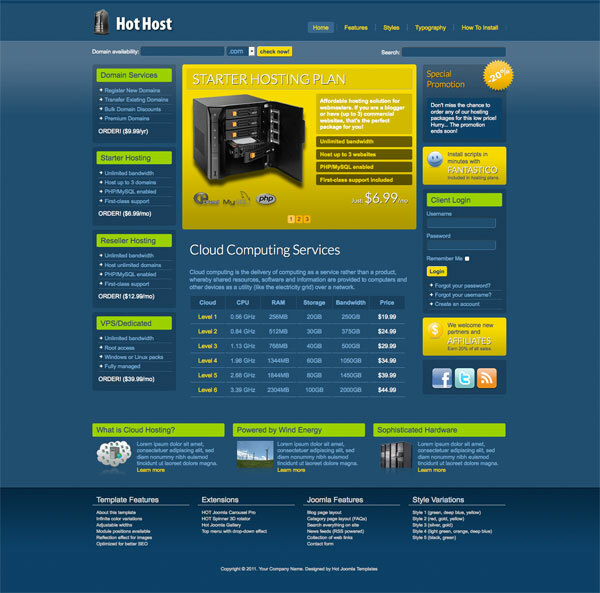 Free Hosting Template - We will try to make development of your hosting website easier. 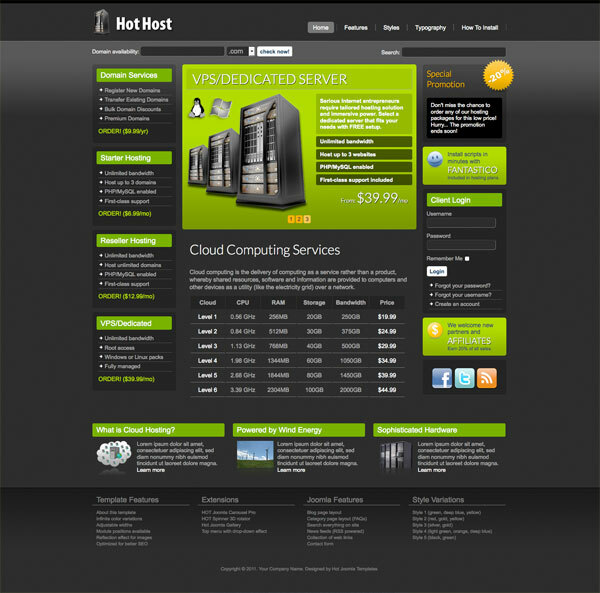 Also, if anybody decided to earn some money as an affiliate of any web hosting company, we believe this template will be helpful! 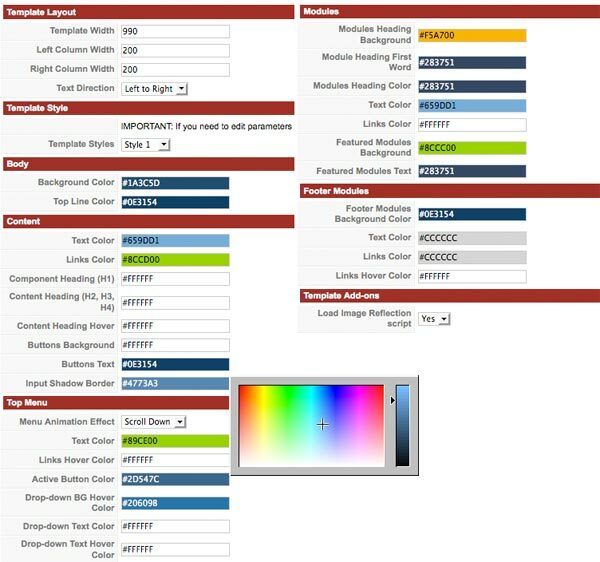 100% tableless CSS, changeable width of left and right columns, as well as overall template width. 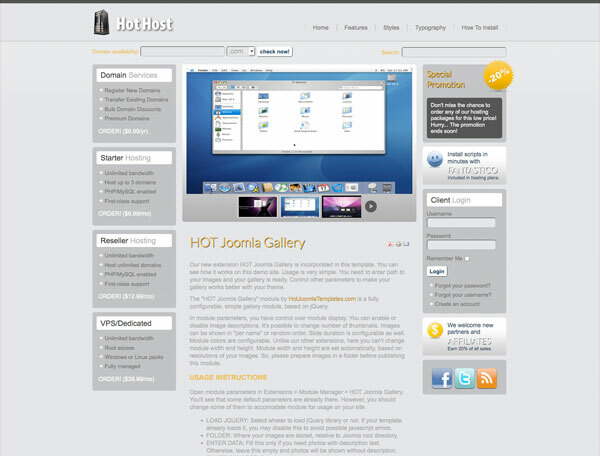 Hot Joomla Carousel PRO module ($15 value), Hot Spinner module ($15 value) and Hot Joomla Gallery module included when you purchase template. 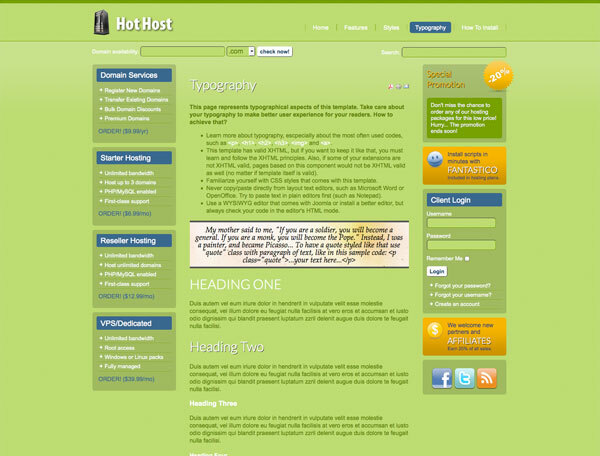 Included free Domain Check script in template. 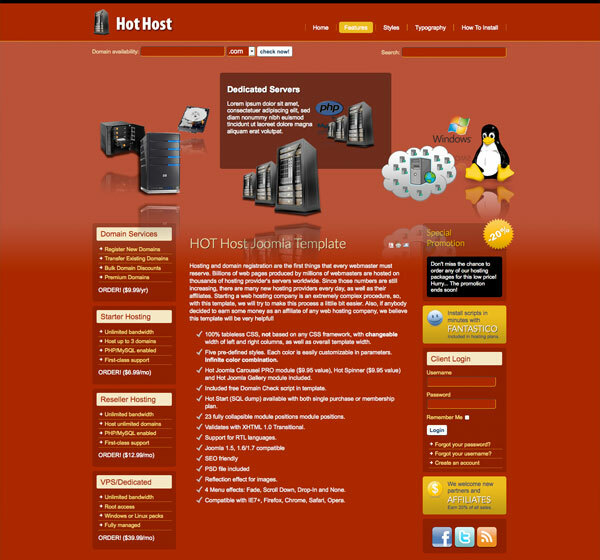 Hot Start (SQL dump) available with both single purchase or membership plan. 23 fully collapsible module positions.